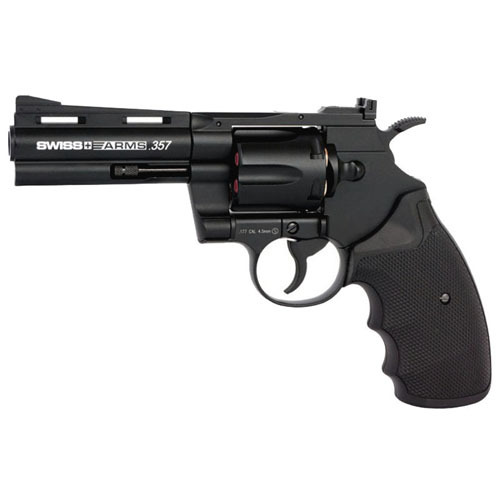 The Swiss Arms 357 Magnum 4 Inch is compact, yet powerful. It boasts 344 FPS out of its short barrel with a revolver standard 6 shot capacity. 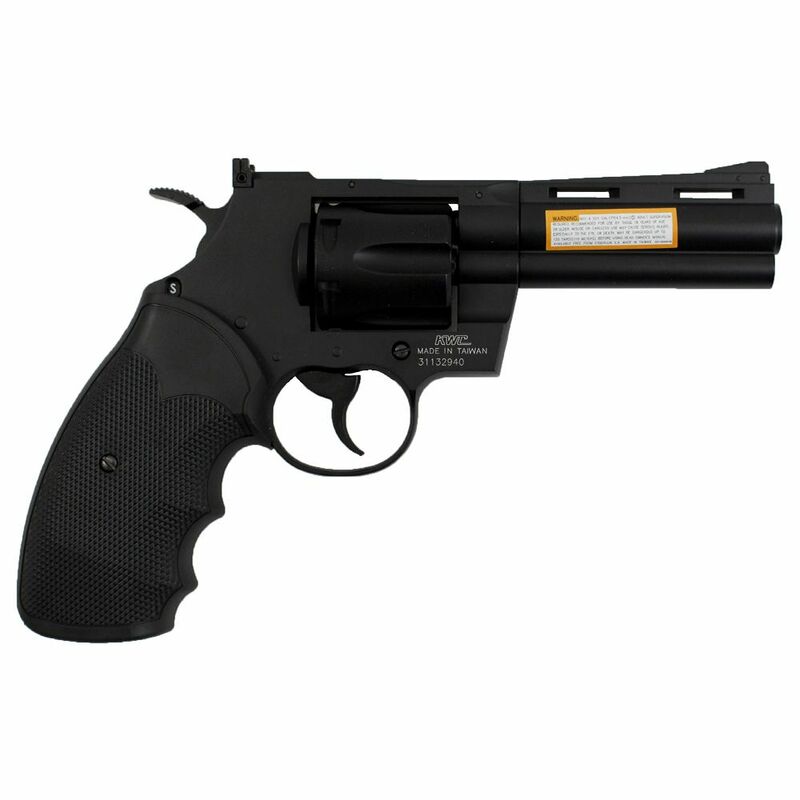 The larger option Swiss Arms 357 Magnum 6 Inch maintains a longer barrel and thus has some added firing power and heft in its bigger size. 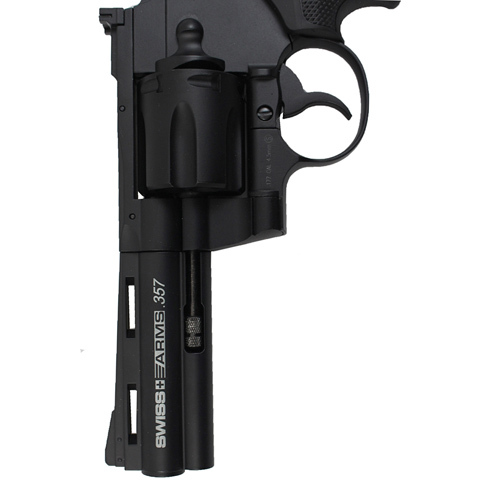 The included BB fillable shells add an even more realistic touch to the replica presentation of the revolver.